My essay on St. John Chrysostom’s “mystagogy of marriage” is the lead article in this month’s Touchstone magazine. 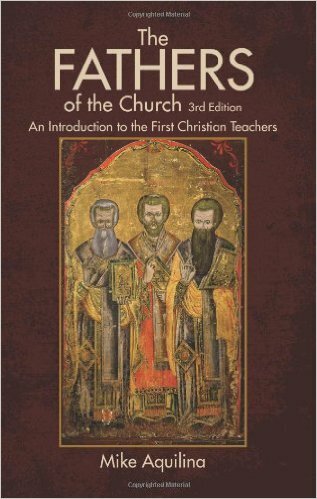 The issue also includes my review of Rod Whitacre’s Patristic Greek Reader. Why don’t you subscribe? — St. Sylvester I, pope (314-35). — The First Council of Nicaea (325), which took place during Pope St. Sylvester’s reign. — The creed and canons promulgated at that first ecumenical council. — The Lateran Basilica, which he dedicated in 324. I just rediscovered this devotional site the Vatican compiled to celebrate the Jubilee. Lots of great reflections by the Fathers. Therefore He became like us, that is, a human being, that we might become like Him, I mean gods and sons. On the one hand He accepts what belongs to us, taking it to Himself as His own, and on the other He gives us in exchange what belongs to Him. I pulled the quote from Deification and Grace, by Daniel Keating, who says he pulled it from Norman Russell’s The Doctrine of Deification in the Greek Patristic Tradition. We should think of Stephen, called by a Greek name meaning “crown,” the first after the Lord’s resurrection to be crowned with martyrdom. We should think also of those persecutors who turned into so many thousands of believers when the Holy Spirit came. [Stephen] showed his love for his murderers, in that he died for them … That is the perfection of love. Love is perfect in him whom it makes ready to die for his brothers; but it is never perfect as soon as it is born. It is born that it may be perfected. Born, it is nourished: nourished, it is strengthened: strengthened, it is made perfect. And when it has reached perfection, how does it speak? “To me to live is Christ, and to die is gain. My desire was to be set free and to be with Christ; for that is by far the best. But to abide in the flesh is needful for your sake” (Phil 1:21-24). He was willing to live for their sakes, for whom he was ready to die. I love the Catholic Near East Welfare Association (CNEWA). It’s a papal agency for pastoral and humanitarian support, and it’s been around for more than eighty years serving people in need in the Middle East, Northeast Africa, India, and Eastern Europe. CNEWA’s mandate is to support the mission and institutions of the Eastern Catholic churches; to provide humanitarian assistance to those in need, without regard to nationality or creed; to promote Christian unity and interreligious understanding and collaboration; and to educate people in the West about the history, cultures, peoples, and churches of the East. CNEWA works especially hard to promote unity of Catholic and Orthodox Christians. Fans of the Fathers will be especially impressed with CNEWA’s magazine, One. You get it free if you give. But you can sample it online, as the editors post all content. Recent issues have featured The Syro-Malabar Catholic Church of India, tracing its origins back to the Apostle Thomas, and The Syriac Orthodox Church, often caught in the Kurdish-Turkish crossfire. This isn’t quite a bleg. It’s mostly a patristic link — and one of my favorites. But do consider giving to CNEWA! I’m sending you this link now, while it’s still on my mind, because the archaeologist expresses a new iteration of a theory that’s been around for almost two hundred years. The theory is evocative, and unobjectionable in most of its forms, but it is almost certainly false, since our old friend Hippolytus of Rome wrote about celebrating the birth of Christ on December 25 almost a hundred years before the Council of Nicea … I’ll look up the reference from Hippolytus after the New Year. Whatever the origin of the December 25 celebration of Christmas, it clearly predates the Council of Nicea, at least in Rome. I was unaware of any testimony from Hippolytus, though I knew about Clement of Alexandria and Julius Africanus, and they go back still further. Thanks to Carl for clueing us in. 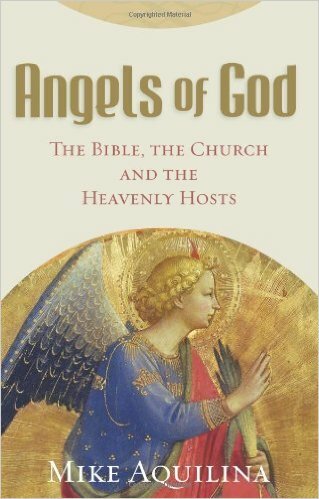 Maureen has gifted us all by recording John Henry Newman’s Essay on the Development of Christian Doctrine. 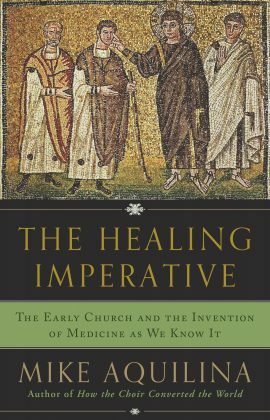 This is one of the all-time-greatest works of patristic scholarship. And now you can listen to it on your MP3 player. Or you can take it in the old-fashioned way, by reading it. Either way, it’s time well spent. 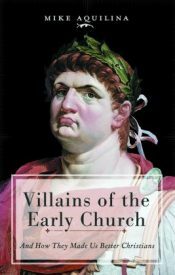 In the course of the last week, Danny Garland has not only welcomed his first child into the light of day, he’s also published a fine historical study of the doctrine of papal infallibility. Deeply patristic, of course. I owe many apologies for my spotty posting. 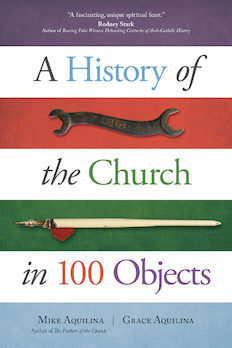 Several of you have emailed to let me know you’re pining for a patristic fix. A few days back I excused myself with December’s publishing deadlines and Advent’s speaking demands. Today I’ll add a third excuse — and then get back immediately to blogging, I promise! My day job, as you may know, is vice-president of the St. Paul Center for Biblical Theology. So for me, as for many others who work in the apostolate, late-December means end-of-year fundraising. Many people want to give because it’s the spirit of the season — and, in the United States, the Internal Revenue Service blesses such giving by allowing you to deduct it from your federal income taxes. (God bless us, everyone!) Now, as every December, we at the St. Paul Center have been hustling to accommodate very generous donors. Please consider joining their ranks as our supporter. Our mission is to promote biblical literacy for the laity and biblical fluency for clergy and Church teachers. We provide free online Bible studies. We travel to train catechists in leading Bible-study groups. We sponsor annual academic conferences, clergy conferences, pilgrimages, and other educational events. We publish an annual journal, a monograph series, and a monthly newsletter. We also make available, absolutely free, weekly homily helps, based on the lectionary. We post them in English and Spanish, and broadcast them, too, in both languages. We are currently having all our free online studies translated into Spanish. Visit our website and you’ll see that our methods are rooted in the Fathers, the ancient liturgies, and the great Tradition. When you give to the St. Paul Center, you do a lot of good for the world. You make my day. And you free me up for blogging instead of begging! The folks at the New York Times wants to help you plan a trip to Alexandria, but they left out all the patristic points of reference, which you’ll find here. Roger Pearse is floating an idea for “an ANF for the new millennium.” And he wants to know what you think. Do drop in. At Christianity Today, evangelical scholar Darrell Bock suggests a good apologetic approach to the next media-hyped pseudo-history. Not long ago, topics like textual criticism and the extra-biblical Gospels elicited yawns from my seminary students. I went through the obligatory motions of covering these staples of New Testament study, knowing that no matter how hard I tried, questions would be rare and engagement minimal. All that has changed. Topics like the James ossuary and the Gospel of Judas have hit Times Square, not only pricking the attention of seminary students, but also garnering coverage from journalists and culture-watchers, from CBS News’s traditional news team to 360 Degrees’s Anderson Cooper. 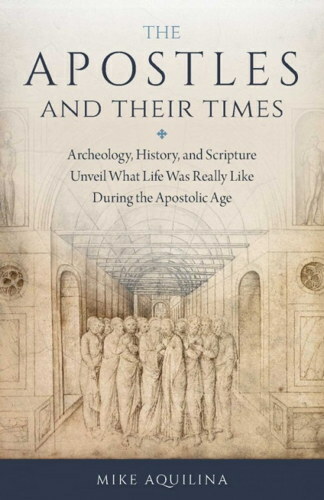 In the last five years, numerous books on early Christian history have made the bestseller lists. Specials on figures like Jesus and Constantine are produced at a rate that could fill historical cable channels around the clock. And when People magazine weighs in on movies like The Passion of the Christ, you know something new is happening in the world of religion news. A few months back, I posted a review of Bock’s The Missing Gospels: Unearthing the Truth Behind Alternative Christianities.